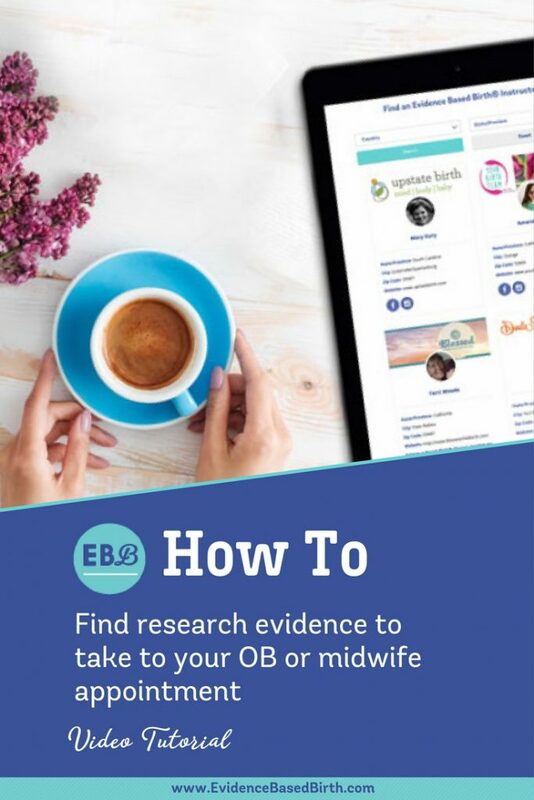 Welcome to the Evidence Based Birth® Q & A Video about How to Find Birth Evidence! To search the Cochrane Library. To search the Cochrane Pregnancy & Childbirth group page. To look at the available Cochrane Podcasts. Enjoy the video, I hope you find it helpful! Stay tuned for our next Q & A! 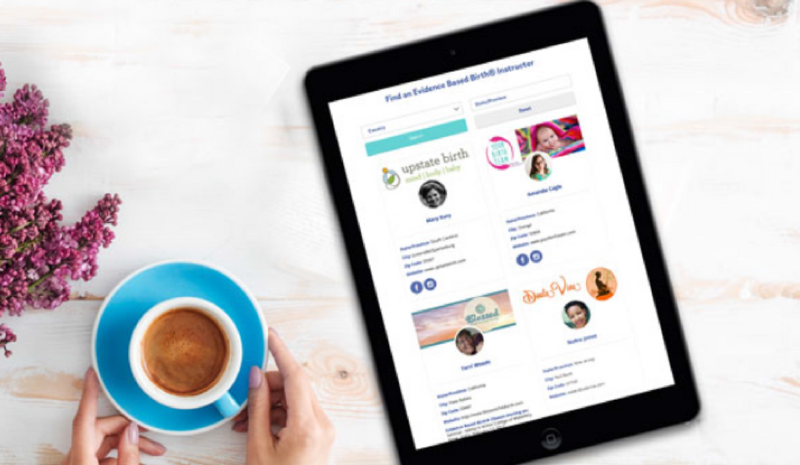 Hi everyone, this is Rebecca Dekker, the founder of Evidence Based Birth®. Today I’m going to talk with you about how you can find birth evidence on your own. Every day I get emails from people all over the world asking me, what’s the evidence on this or what’s the evidence on that? Unfortunately, due to my limited time I can’t answer everybody’s questions. What I can do is teach you how to use a tool that can help you find evidence on your own so that you can help get information to answer your own questions. The Cochrane Collaboration is an international non-profit organization whose mission is to make sure that up-to-date accurate information about the effects of healthcare interventions are available worldwide. Although most people have to pay for the full text articles, the summaries of their articles are free to the public. Some countries even have national subscriptions to the Cochrane Library. In those countries anybody who lives there can have access to the full text articles for free. These countries include parts of Canada, the United Kingdom, Ireland, some Scandinavian countries, New Zealand, Australia, India, South Africa, and Poland. The United States does not have a national subscription although apparently the state of Wyoming does have a statewide subscription. If you become a certified child birth educator through Lamaze and belong to their training and certifying organization you can get access to the Cochrane Library for free as well. A lot of hospitals in academic institutions, universities in the United States also subscribe to the Cochrane Library. What the Cochrane Collaboration does is they take results from clinical trials also known as randomized control trials and they combine or pool all of these results into a bigger study called a systematic review. This means that they take all of the data from a whole bunch of smaller studies and look at all of the data at once. A systematic review is considered the highest level of evidence. However, it’s important for you to understand that it’s not possible or practical for all healthcare interventions to be tested in randomized trials. For some healthcare interventions when it comes to childbirth we might not have this particular kind of evidence. In those cases we have to rely on a different kind of evidence called observational research but that’s a different topic for a different day. To teach you how to use the Cochrane website let’s take the example of eating and drinking during labor. This is something that happened to me and it’s also happened to many families around the world when you’re told that you’re not allowed to eat or drink anything during labor. Personally, I ended up going more than 24 hours in labor with my first baby without any food or drink and it was pretty miserable. Afterwards I asked myself, “Well, what was the evidence for that, for saying that I was not allowed to eat or drink?” I found the answer on the Cochrane Collaboration’s website so let’s take a look at that together. To find the Cochrane Library you can either google Cochrane Library or you can type in cochranelibrary.com and this is the home page for the Cochrane Library. Let’s search our topic, eating and drinking in labor. Let’s go ahead and hit search, see what we find. Okay, so they came up with one result. The cool think about this result is it says that it is free. That means that not only can you read the summary but you can also read text for free. Let’s click on this publication. This is the article on restricting oral fluid and food to intake during labor. You can see it was published in 2013 and these are the authors here. It was edited by the Cochrane Pregnancy and Childbirth Group and I’ll tell you more about that group in a minute. Here’s your navigation on the right hand side. You can look at abstract and all of the information. Abstract is basically the higher level, the researcher’s summary of what happened. You can see that followed here, this is probably the importance piece for parents, is you have the plain language summary. You can read it in French, Portuguese, Croatian, and Polish is what they have available right now. Actually, it’s just the plain summary that is in the different languages. Basically what they say is that historically, although food and fluids have been withheld from pregnant women during labor, they have found that in five studies with more than 3,000 women they have not been able to identify any benefits or harms of restricting food and fluid. Nobody’s looked at women’s views or their satisfaction with restricting women or their satisfaction at restricting food and fluid. These researchers say that women should be free to eat and drink in labor or not as they wish. Now, because this one is available to the public you can actually read down and read all, to your heart’s content, the history, the background, how they did the review, and their statistical information which may or may not go beyond your knowledge. The important thing, like I said, is that plain language summary. Also, you can download a PDF since it’s free to the public. Not all of them are but some of the articles are. You can download just the summary, the standard PDF which is what I would recommend downloading, or you can download the full PDF that includes details about all of the studies they included in their review. That might be a little bit more information than what you need. If you click on info it’ll show you that you can browse more topics. The pregnancy and childbirth is kind of the umbrella topic and then you can look at care during childbirth. This is under the category of routine intrapartum care, routine care during labor and delivery. Let’s click on that, see what else they’ve got. Now you can see that there’s even more things about routine care traditions in the hospital. They’ve got 17 results about this. You can see the ones that are free have the little unlocked button. They have quite a few free ones. You can look at intravenous fluids, you can look at continuous support. This is to do with the use of having a dula. Some countries, they still use enemas during labor. Some countries, they still have women during labor. You can click on those and you’ll get, again, the same layout as the other one. We’ll start with the abstract and then for the public, for parents, here’s the plain language summary. One more fun thing about the Cochrane Libraries, they do have podcasts on some of these articles. If you click on other resources you can click on the Cochrane Podcasts and then you can view their catalog here. They list their latest podcasts here but you can also search by title. We can search for just the word labor to see what pops up. Actually, because they spell labor differently let’s … They tend to use the United Kingdom or British spellings. Here is a bunch of podcasts that you can look at. Look down here and they have one about restricting oral fluid and food intake during labor. There’s one about if your water breaks out on your term. Here’s one about pain management for women in labor. There’s some interesting podcasts you can listen to. If we go back to this article about fluid and food intake, one more thing I want to show you is you can see all of the pregnancy and childbirth topics by clicking on there. You can see there’s lots of topics here, you can narrow it down. If you don’t want to do a search using this search bar you can search this way as well by going to that Cochrane Pregnancy and Childbirth topic group. This concludes this Evidence Based Birth® tutorial. I encourage you to explore the Cochrane Library Website and see what evidence you can find. Thanks and bye.